WELL, well - just what is happening here? 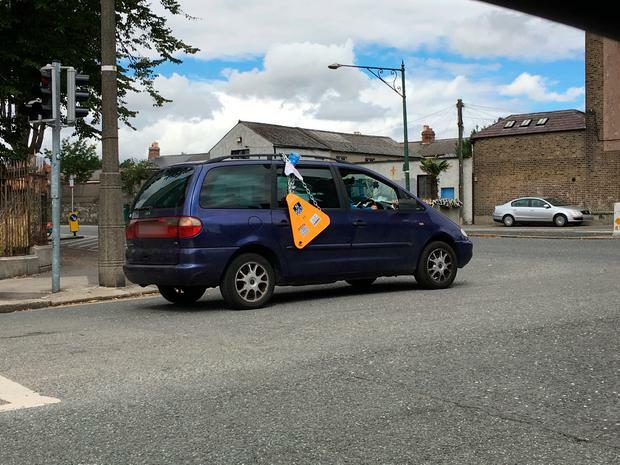 A motorist has been spotted driving around north Dublin today with what appears to be a clamp attached to a rail on the roof. An onlooker told Independent.ie that the parking clamp was attached, and was hitting off the side of the car as it drove along the street. “I came across this car on Mountjoy Street after 12pm today with a parking clamp hanging off it," he said. It is not known how the clamp was either removed initially, or attached. Earlier this year, Independent.ie revealed Dublin’s top spots for car clamping. Dublin City Council said that Mespil Road in Dublin 4 earned €82,640 in clamping fees in 2017. The top 10 streets combined saw over €500,000 in clamping fees in 2017 (€505,360), or 6,317 individual clampings.